In 1922 in the town of Lake Badin, Louisiana, Giselle O’Connell Richards is a young war widow and partial owner of the local newspaper. Passionate about justice, the spirited Giselle targets Frank Cotton III, also known as Rabbit. He is a money-hungry extortionist and Captain of the Krewe of the Corsairs – a dastardly group of bigots and criminals bent on destruction. When Rabbit turns his attention to Giselle’s aunt and blackmails her, she fights back. 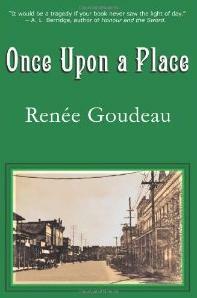 Peppered with very vivid and detailed descriptions, Renee Goudreau sweeps us to Louisianna’s Bayou. This is a tale of mystery and suspense with a courageous heroine as its heartbeat. There is a strong Cajun accent throughout the novel that sometimes makes it difficult to follow the prose, but the story is rich and complex. A good depiction of the deep south in the time of Prohibition.